“Is it okay that we put you in the derby? You did so well with the other classes. The derby is slightly different than your other classes, it’s a bigger class and it’s somewhat harder,” Lizzie said. Just one more class? It doesn’t seem too bad. “This one will be a little harder, but you have some time,” she adds. Soon they start reading the results. “…and in third place, Press to Play and Cate Jeschke!” I walk out to get my ribbon. Finally, we do a victory gallop. I get a rush of excitement when we start. When Rojo and I exit the arena, I can’t stop smiling. That was my first ever derby, and it will definitely be something that will be memorable to me. Cate Jeschke is 12 years old and will be entering the 7th grade at The Bush School in Seattle, Washington this fall. 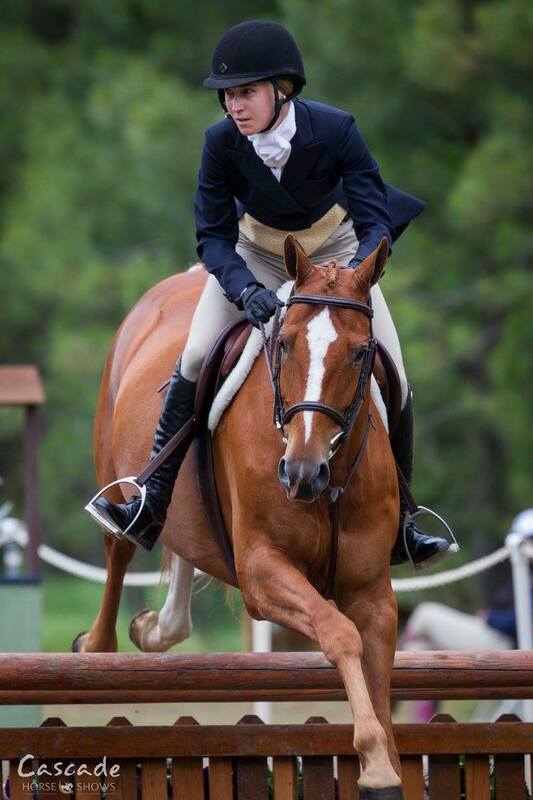 Cate has been riding for four years and began her partnership with her mount, Press to Play, earlier this year. 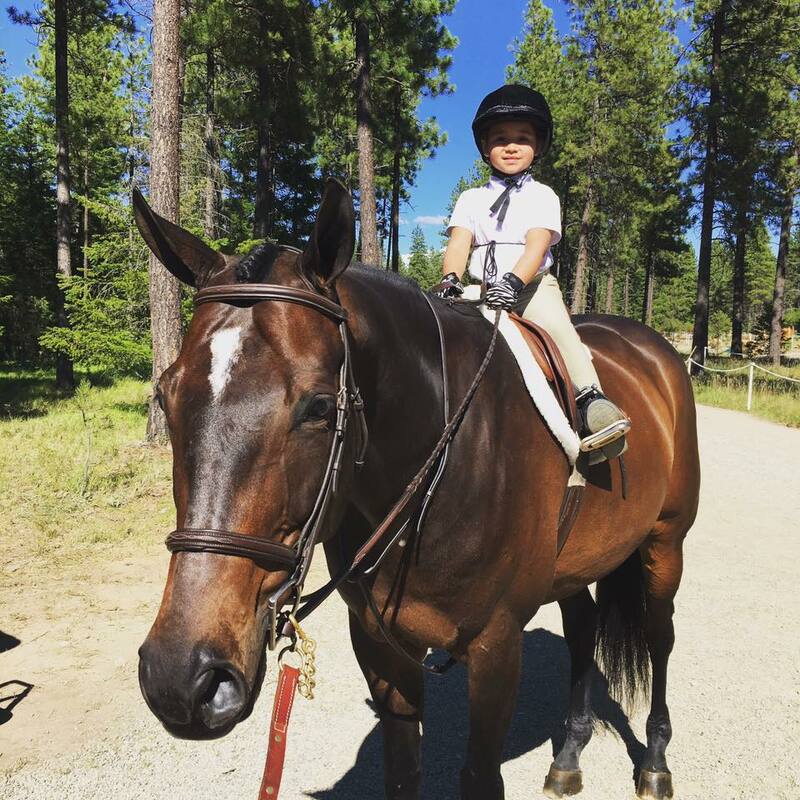 They compete in the Pre-Children’s Hunter and Equitation divisions where she hopes to finish the season strong and move up to the 3’ Children’s Hunter and Equitation divisions in the future. Legacy's favorite celebrity couple, Coaster and Buttercup, were featured this week on a popular Instagram account entitled @InterspeciesFriendship which "Celebrates the amazing & unlikely friendships between animal species." The image reposted from Coaster and Buttercups' own account, @coasterandbuttercup, received over 1,000 likes and many wonderful comments. Follow @coasterandbuttercup and join the fan club! 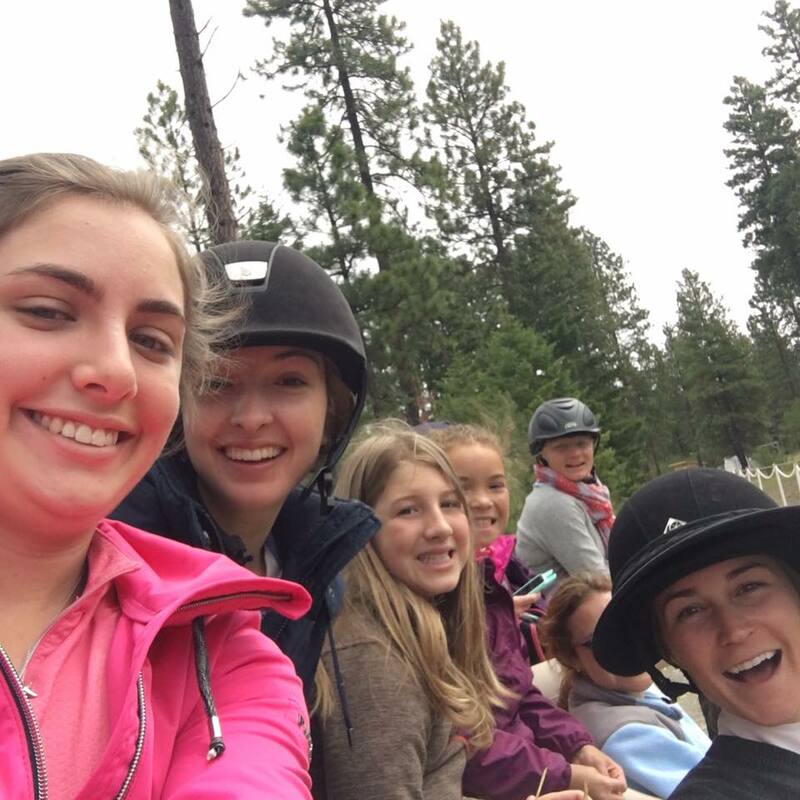 Legacy riders racked up 16 division championships and 8 reserve championships at the Swiftwater Invitational and Alpine Preview horse shows, held at the Washington State Horse Park located in Cle Elum, WA. For the jumpers John Van Oppen’s Eltano II took the 1.20m jumper championship both weeks as well as 5th place in the $10,000 Alpine Preview Grand Prix with Shelly Kerron in the saddle. Gazoo and Krista Taylor picked up the Children’s Jumper 1.00m both weeks as well. In the hunter divisions, Lizzie and Shelly took the 1st year Green Hunter Championship and Reserve Championships both weeks aboard Johanna Sixl’s Juno and Mary-Lou Misrahy’s MTM Check Me Out. Lizzie Kerron was Reserve Champion aboard Cate Jeschke’s Press to Play during the Swiftwater Invitational's $2,500 USHJA Hunter Derby. The sister duo also managed to snag three of the top 12 placings in the Alpine Preview’s Derby aboard Juno, Press to Play, and Jennifer Spark’s Seasmoke. John Van Oppen’s Sun Flight also took the Junior Hunter championship during the Alpine Preview, piloted by Kassidy Keith. Both Denise Owen aboard Legacy's Red McCartney and Dawn Pemble riding Fern Ridge Farm's Bayardo successfully stepped up from the Long Stirrup to the Pre-Adult division. Denise took the reserve championship in the hunter section both weeks and Dawn was consistently in the ribbons among tough competition. Legacy’s youngest riders, Cate Jeschke and Rafi Wolf swept the Pre-Children’s and Short Stirrup Pony championships and hunter classics both weeks, with Jeschke also taking the Pre-Children’s equitation championship both weeks. Johanna Sixl took the reserve championship in Equitation 15-17 during the Alpine Preview as well. Spring is in full bloom at Legacy! -Krista Taylor was awarded High Point Junior rider for her performances with Papillon throughout both weeks, which included victories in both the USEF Pessoa and Maclay medal classes as well as a strong performance in the flat equitation challenge. -Johanna Sixl and Juno were reserve champions in the always popular Hunter Under Saddle Challenge. -Cate Jeschke and her new mount, Press to Play, took the championship in Short Stirrup Horse Equitation both weeks. -Rafaela Wolf made her debut with Time to Shine a winning one by scooping the Short Stirrup Pony Equitation championship at the Inagural and the reserve championship the following week. -Dawn Pemble proved that blondes really do have more fun as she piloted Bayardo to reserve championship in the Long Stirrup Equitation. "Legacy has always been more of a boutique than a large-scale operation. It's important to us that each of our students receive quality time with their training and instruction and that we create well educated students. We believe this philosophy distinguishes us time and again through the successes of our students and their horses." Legacy partner and assistant trainer, Elizabeth Kerron, commented on the support that Legacy's teammates provided to each other throughout the weeks, noting that Dawn was her most enthusiastic student while Johanna the most improved. Kerron was most excited, however, by the pride her students took in celebrating each others' successes. Kerron attributes much of this camaraderie to the size of Legacy's program, stating, "Legacy has always been more of a boutique than a large-scale operation. It's important to us that each of our students receive quality time with their training and instruction and that we create well educated students. We believe this philosophy distinguishes us time and again through the successes of our students and their horses." We look forward to following Legacy's students throughout the rest of the 2016 season!